Jeremy Driscoll, OSB, is the abbot of Mount Angel Abbey in Saint Benedict, Oregon. He has served for many years as a professor of theology at Mount Angel Seminary and the Pontifical Athenaeum of Saint Anselm in Rome. Abbot Jeremy is the author of several books of theology, spirituality, and poetry and is a widely sought speaker and retreat leader in the United States and beyond. In this extraordinarily rich volume, Jeremy Driscoll shows how we experience the awesome glory of the resurrection in the liturgy of the Paschal Triduum and the Easter Season. His insightful liturgical exegesis reveals how the lectionary proclaims a coherent story of God's saving grace in the crucified and risen Christ. A perfect resource for the Triduum and the Easter Season! Abbot Jeremy takes us on a spiritual journey through the most basic belief that gives meaning to our Christian identity-the death and resurrection of Jesus Christ. This book enables us to understand with depth how our life as a Christian is touched by this belief. He shows how profound our lives are touched by the paschal mystery and how the liturgy continues to draw us deeper into the very life of Christ. When read slowly and meditatively, this book is life changing. A supremely important contribution to revealing the depth and breadth of the meaning of the liturgy as a communal event centered on the paschal victory of Christ. Taking the paschal triduum through the solemnity of Pentecost as its focus this commentary invites us to experience both death itself and passing over to new life again and again in Christ through the celebration of the liturgy. What more can be said about the resurrection? Yet we must come to fresh appreciation of this central mystery for the sake of our Christian faith. What is Christ doing? What are we doing? Abbot Jeremy guides the reader, flashlight in hand, on a gentle walk through Scripture and Liturgy conjoined. First the transforming power of resurrection is shown in the biblical account of the Pasch. Then the Lord's presence and power in the sacramental signs of the Paschal Triduum is shown. (Who could have guessed there was so much theology in the rubrics and texts and actions of these days?) This is liturgical exegesis at its best. Everyone should make a Lenten spiritual reading retreat by turning to this book during the last days of Lent and preparing themselves for the mystery of the Paschal vigil. 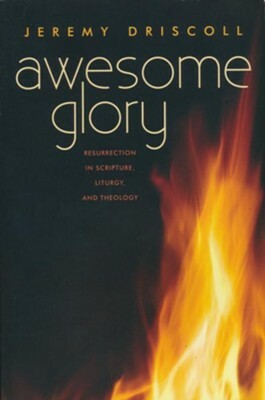 I'm the author/artist and I want to review Awesome Glory: Resurrection in Scripture, Liturgy, and Theology.